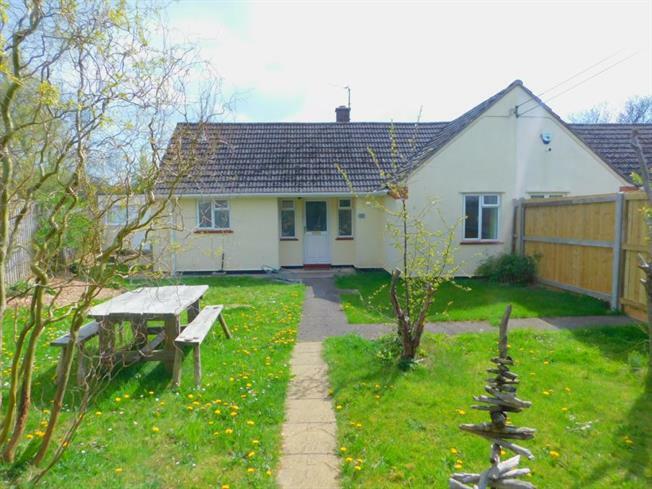 2 Bedroom Semi Detached Bungalow For Sale in Wells for £225,000. NO ONWARD CHAIN! A contemporarily finished, spacious two bedroom bungalow that benefits from a detached studio, secluded gardens and exquisite views across the neighbouring countryside. The main residence has recently been updated with a light, contemporary finish to all living rooms and bedrooms. The lounge is a lovely size, with dual aspect windows and French doors that lead to the glazed lean-to and garden. The kitchen/dining room has dual aspect windows with views of the adjoining countryside, and an extensive fitted kitchen with a door to the side access. Both bedrooms are excellent double rooms, that are serviced by the re-modelled, attractive shower room. Detached from the main residence, you will find this excellent additional room - perfect as a study or an occasional bedroom should the need require. Excellent, level gardens are to be found to the front and rear of the property. You will always be able to find the sunshine, particularly from the secluded courtyard to the rear that is South facing, making the most of those lovely views! Lean To: 8' 2" x 6' 1"
Bedroom One: 11' 1" x 11' 11"
Bedroom Two: 11' 6" x 11' 4"
The Studio: 13' x 7'6"